Boardingware can be customised to suit the leave requirements of your school. This guide will show you how. First access your School Management page. How? Add a Name and a Description. You can also edit the colour of the icon to help you organise your leave types. Build the leave form to suit your needs. As you toggle each option on, you will see it appear on preview on the right. Left of the toggle there is an edit button to help you pre-select options. 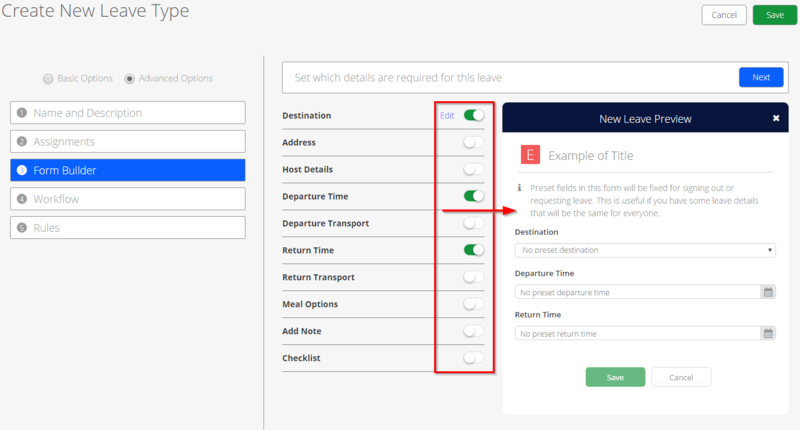 On the form itself you can also preset options to save time. 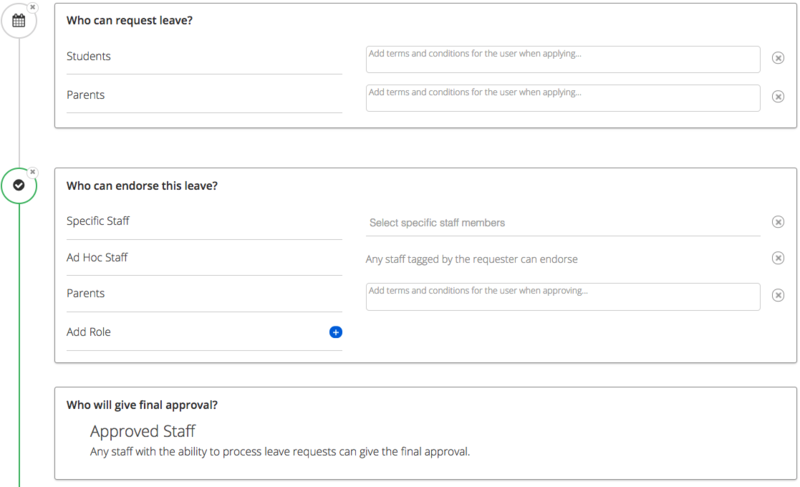 Gain total control over the request and approval process from allowing parents and students to apply, to having certain staff approve, to allowing approved leave to be signed out of the Kiosk. Please click here for a detailed look into how to get the most out of the Workflow. These can be set to control when a student can depart, or return. 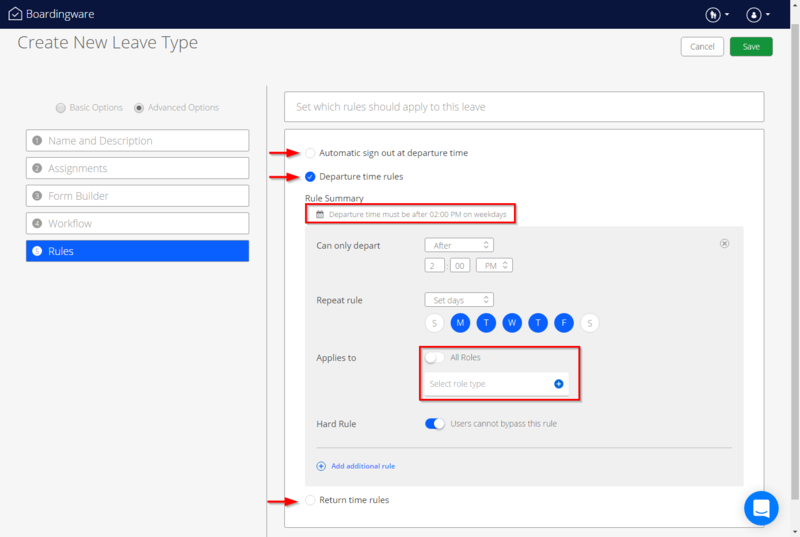 You can also set the leave to automatically sign the student out There are four options to define the rule: After, Before, At, Between. You can add up to 3 departure rules, and 5 return rules. The highlighted rule summary will change in real time as you adjust the rules. You can set the leave to repeat on all days, or set days of the week. If you would like to discuss these options in more detail simply click the blue message icon in the bottom right hand corner of the screen to talk to us!